Ahahaha. If the name of this post didn't make you giggle, or at least spark your interest, we might not be able to be friends anymore. Just kidding. But seriously, William Shatner makes muffins? Good muffins? He's so multi talented! Look guys, I'm in an ornament! I have no idea where this recipe originated. I can't trace it back to William Shatner directly, but I reeeally reeeeally hope this is his recipe. Apparently he also makes a mean Carrot Vichyssoise. 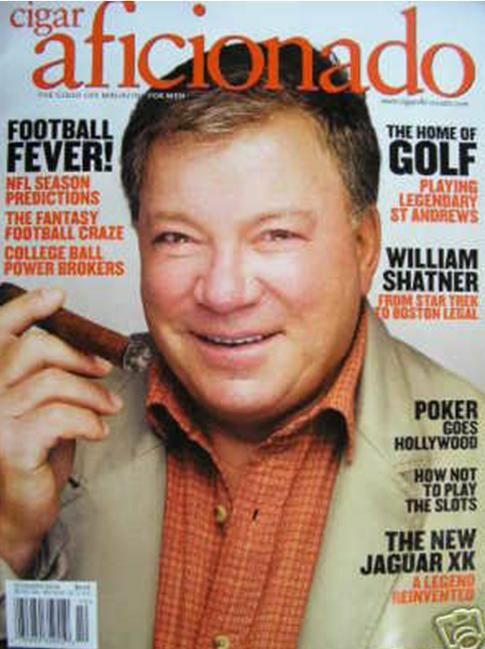 I would eat soup with William Shatner. Dream come true right there. Texturally, these muffins were a little weird. The batter was more like a dough, and I had to end up using a bit more liquid. Also, I think I didn't cool my butter quite enough and may have scrambled the egg a tiiiiny bit. But they still tasted great. Omnom. Ohohoh, totally unrelated note, but I'm looking into buying a DSLR (finally). Does anyone have recommendations? I'm more of a Canon gal than Nikon. In a large bowl, whisk together the flour, sugar, baking powder, coffee powder, cinnamon and salt. In a medium bowl, whisk egg lightly. Whisk in milk, melted butter and vanilla extract. Make a well in center of dry ingredients and pour in milk mixture. Stir just until evenly blended. Stir in chocolate chips. Divide batter, bake 15 to 18 minutes, or until a cake tester inserted in center of muffin comes out clean. These muffins look delicious-they may be Williams favorite but for some reason I do not envision him in the kitchen at all-probably has someone bake and cook for him! Definitely worth a try though-with the two big C's together (coffee chocolate) it is hard to go wrong. I have a Canon Rebel myself and am very happy with it. Consumer reports is a great source when you are talking about the best brands for the money. Hope you find what you are looking for. I just found an AMAZING deal on a Canon EOS Rebel XS! I"m so beyond thrilled! hey rebecca! so random but I was looking for a new cupcake/muffin recipe and my normal recipe sites weren't cutting it, but when I found this it seemed perfect. I made it for my italian professor that wrote me a recommendation and naturally the cappuccino part was perfect. it was delicious!! thanks for the recipe, hope you're doing well! Yay, thanks for thinking of me!